Drugstore foundations have come a long way in the last few years. I remember my mom in the early nineties, browsing through glass bottles and struggling to find one that wasn't too pink, too chalky, or too thick. These days better pigments, more diverse shade ranges, and HD finishes make drugstore foundations an affordable alternative to their department store counterparts. So why do I have this lingering dislike against them? That was the thought on my mind during the last couple weeks while test-driving Cover Girl's Clean Whipped Creme Foundation ($9.99 at London Drugs) and confronting my prejudices. 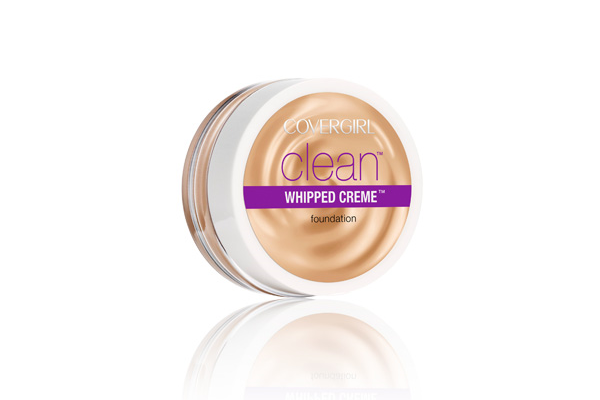 Much to my delight, the Clean Whipped Creme Foundation shatters all of them. No thick, goopy beige paste to be had here: The whipped creme texture is light and silky, melting into skin even when applied with fingers. The matte, more even tone it produces looks best and most natural when the foundation is worn sparingly over an oil-free moisturizer. Another plus: The flat, small 18 ml jar is great for travel, and considering a few small dabs is enough for my whole face, contains more than enough product. One small step for drugstore foundations, one giant step for unraveling this beauty blogger's unfounded bias. This foundation is definitely a good one!